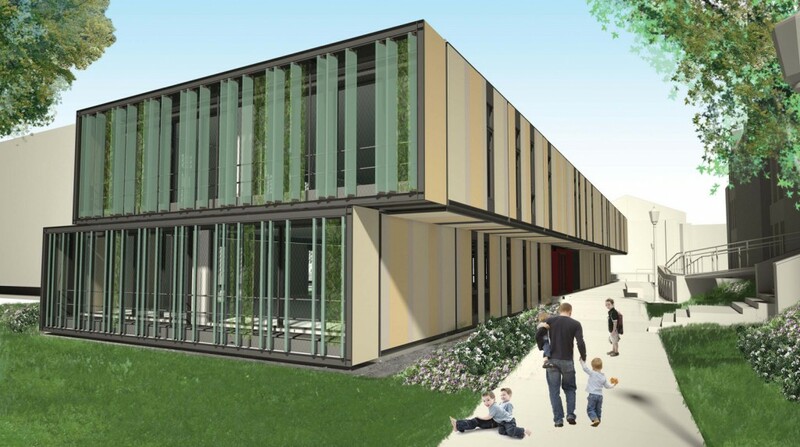 This fall, the Lehman campus will welcome a new childcare center that will double the capacity of the current childcare center and also include a number of ‘green’ features. Assembly of the modular building is scheduled to begin in September, pending approval from the Department of Buildings, and will be located on the western side of the campus, between Shuster Hall to the north, Davis Hall to the south, and just east of Goulden Avenue. To make way for Phase II of Lehman’s new Science Building, the T-3 Building, which houses the current childcare center, will be demolished. The building was not originally designed as a childcare center and is limited in design and space for that type of usage. The new center, scheduled to open in early 2012, will consist of 22 pre-fabricated modules that will be delivered to the campus over time and hoisted into place. 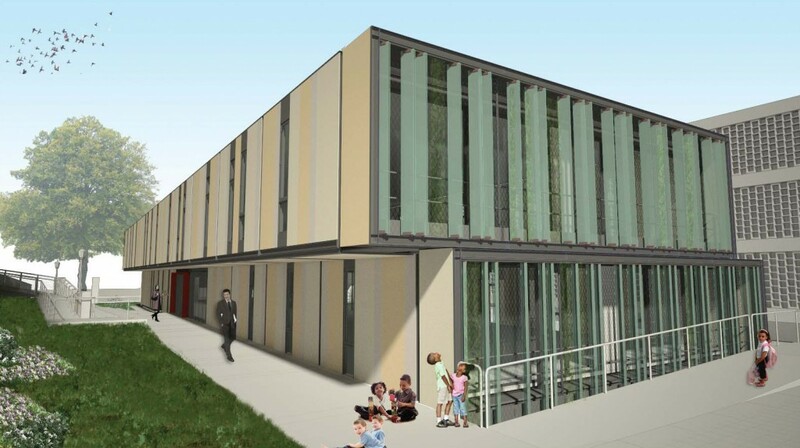 It will be able to accommodate up to 140 children for all-day and after school programs. Axis Construction, the general contractor, will lay the on-site foundation. Garrison Architects have created a design that references some of the existing buildings on campus, in terms of color, for example, while maintaining ample green space. “We wanted to maintain as much of the yard space as possible,” said architect Jason Buchheit. “The narrow design allows us to keep sunlight coming into the side yards. We were also able to provide a more accessible route to campus in compliance with the Americans With Disabilities Act.” A ramp from the Goulden Avenue entrance will provide wheelchair access to the building. The east and west walls of the building, facing toward the Reservoir and inward toward the campus, will feature terraces designed to grow greenery. The building’s atrium will have an open stairway to the second floor, with skylights that will offer a natural ventilation system. As the air heats in the area beneath the skylights, it will rise and escape from vents, thereby cooling the space. A multipurpose room could function as a playroom, after-school space, or an additional classroom. The building will have six classrooms in total. “This project is very rooted in the campus and will expand on what the campus already has,” sad Buchheit.